If you have an email address recorded in your library account you can use the Forgot Your Password? link in the event that you forget your password. 1. Click on the Forgot Your Password? link. 2. Enter your username or barcode into the appropriate field. You must enter only one value, this is an either or choice, as some people only use their barcode to access their account, while others only ever use a username. 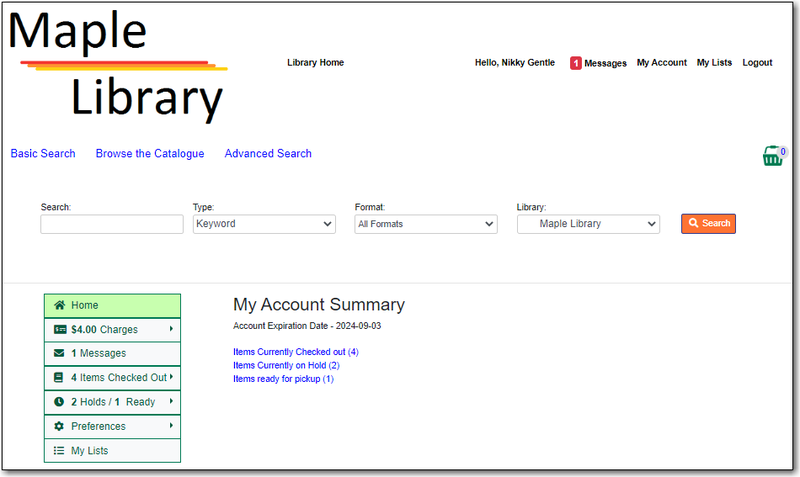 Some libraries also require that you enter the email address associated with the account. This is controlled by the library setting Require matching email address for password reset requests. 4. Check your email account for the Library Account Password Reset Request email. 5. Open the link provided in the Library Account Password Reset Request email. 6. Enter your new password in the password reset form in the browser.You must enter the password twice to ensure that you do not make a mistake. 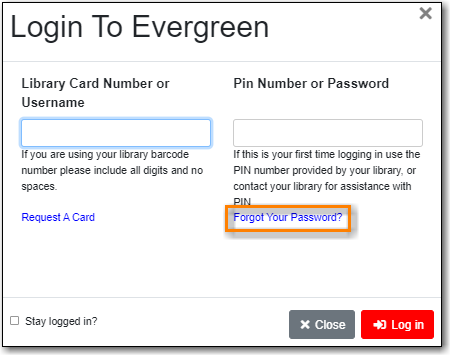 If the passwords match, you will then be able to log in to your library account with the new password. Please contact your local library if you do not receive the Library Account Password Reset Request email or if you continue to be unable to login to your account.